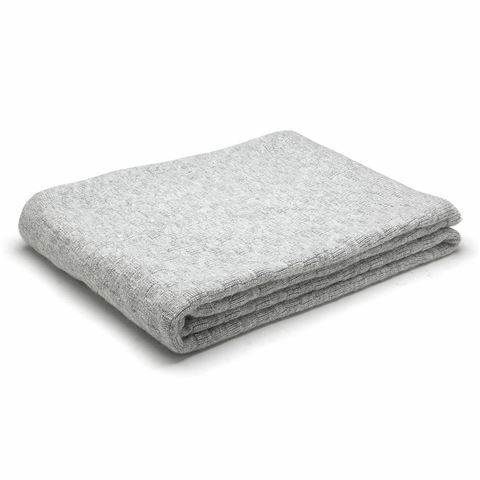 Consider your Bemboka blanket an investment in warmth, comfort and style. Since the ‘60s, Bemboka have been producing lovely manchester that is sophisticated yet understated – and found in hotels and resorts around the world. Such is their luxury appeal! So whether your Bemboka blanket is part of your cosy living- or bedroom display, or draped around you for an extra layer of warmth in winter, you’ll find yourself surrounded by some of the most premium fabrics around. Perfectly balancing natural fibres are Bemboka’s Angora and Superfine Merino Wool Throws; woven using super 100s fine merino wool and rare-quality angora – the result is a throw that is almost as fine as cashmere. Superior and warming, these throws are light and undeniably luxurious, and are finished with a faint chequerboard pattern for added depth and texture. Made from a blend of Australian super 100s merino wool and angora. Finished with a faint chequerboard pattern.